Forty-five percent of normal adults snore at least occasionally and 25 percent are habitual snorers. Problem snoring is more frequent in males and overweight people and usually worsens with age, peaking in up to 40% of 45-55 year olds. Snoring may be an indication of obstructed breathing and should not be taken lightly. 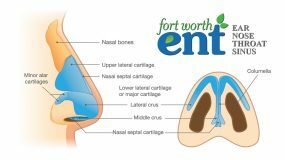 An ear, nose and throat surgeon, Fort Worth ENT otolaryngologist, can help you to determine where the anatomic source of your snoring may be, and offer solutions for this noisy and often embarrassing behavior. In children, snoring may be a sign of problems with the tonsils and adenoids. An otolaryngologist should examine a child who snores, as they may be suffering from obstructive breathing during sleep. This has been shown to be associated with health and development problems. Your otolaryngologist may recommend a tonsillectomy and adenoidectomy to return the child to full health. Poor muscle tone in the tongue and throat: When muscles are too relaxed, the tongue falls backwards into the airway or the throat muscles draw in from the sides to narrow the airway. Some relaxation is natural during deep sleep, but may become a problem if exacerbated by alcohol or drugs. Why is snoring something to be concerned about? Social Concerns – Snoring can make one's bed partner experience sleepless nights and fatigue. 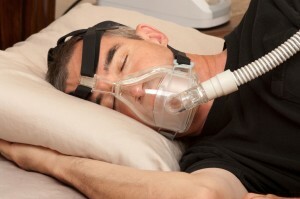 Medical Concerns – Snoring disrupts sleep patterns and can be a sign of obstructive sleep apnea. These may deprive the snorer of adequate rest and could increase the likelihood of long-term health problems such as heart disease, lung disease, diabetes, weight gain, and even sudden death. Snoring may be a sign of a more serious condition known as obstructive sleep apnea (OSA). OSA is characterized by multiple episodes of pauses in breathing lasting at least 10 seconds at a time, due to upper airway narrowing or collapse. This results in lower amounts of oxygen in the blood, which causes the heart to work harder. It also causes disruption of the natural sleep cycle by causing the patient to frequently arouse from sleep to get more air. This, in turn, makes people feel poorly rested, despite adequate time in bed. Apnea patients may experience 30 to 300 such events per night. 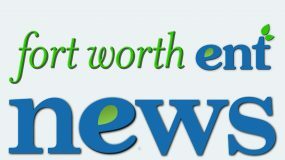 Heavy snorers should seek medical advice to ensure that sleep apnea is not a problem. Heavy snorers include people who snore constantly in any position or who negatively impact a bed partner’s sleep. An otolaryngologist will provide a thorough examination of the nose, mouth, throat, palate, and neck, often using a fiberoptic scope. An examination can reveal if the snoring is caused by anatomical defects leading to nasal obstruction, palate obstruction, or throat obstruction. A sleep study in a laboratory or at home may be necessary to determine if your snoring is secondary to OSA. The sleep study measures how many times per hour the patient stops breathing or has a restriction of their airway and monitors oxygen levels in the blood while this is happening. This test is regarded as the “gold standard” in evaluating OSA. Aggressive weight loss may be all that is required to treat some patients with OSA. Obstructive sleep apnea is most often treated with a device that opens the airway with a small amount of positive pressure. This pressure is delivered via a nasal mask worn during sleep. This treatment is called CPAP (continuous positive airway pressure), and it is currently the initial treatment of choice for patients with OSA. Unfortunately, many patients simply cannot tolerate wearing this mask while sleeping and would prefer other solutions. Another non-invasive technique involves fitting a custom-made oral appliance, which helps pull the lower jaw forward opening the space behind the tongue. This may be considered for certain patients with snoring and /or OSA. An otolaryngologist, dentist, or oral surgeon with expertise in sleep dentistry should fit this appliance. Uvulopalatopharyngoplasty (UPPP) is a surgery for treating OSA. The surgeon removes excess soft palate tissue and the uvula, thereby opening the airway. In addition, the remaining tissue stiffens as it heals, thereby minimizing tissue vibration and decreasing snoring. The size of the air passage may be further enlarged when a tonsillectomy is added to the procedure. Thermal ablation procedures reduce tissue bulk in the nasal turbinates, tongue base, and/or soft palate. This is just a fancy term for shrinking away the excess tissue. These procedures are used for both snoring and OSA. Different methods of thermal ablation include bipolar cautery, laser, coblation, and radiofrequency. 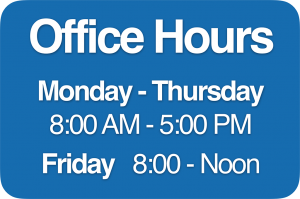 These procedures may be done in the operating room or during an office visit. Several treatments may be required. Some treatment methods attempt to increase the stiffness of the soft palate without removing tissue. 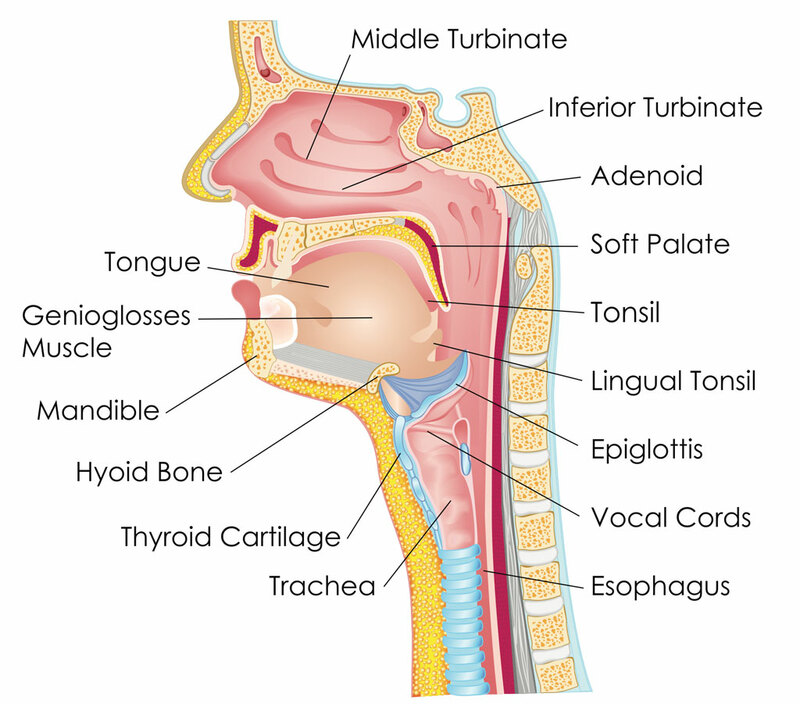 Of the techniques commonly used, injection of irritant material into the soft palate tissue or inserting stiffening “rods” (pillar implants) can provide a solution. 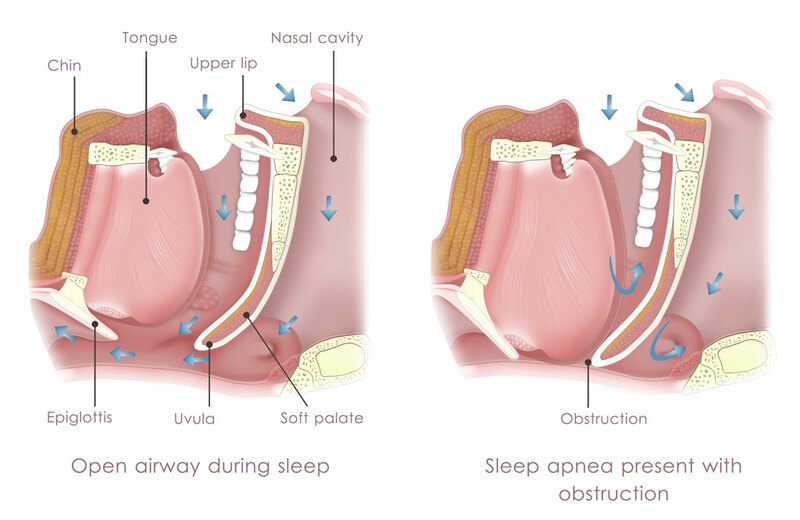 Tongue and hyoid suspension devices are another surgical procedure for the treatment of sleep apnea. 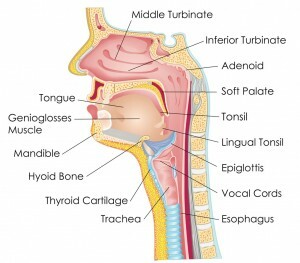 This surgical technique suspends the muscles of the tongue and/or the hyoid bone forward. This helps to hold the airway open, thereby alleviating an obstructed airway. There are hundreds of devices marketed as cures for snoring; none are specifically recommended. Some encourage lying on the side while sleeping, simply using gravity to prevent the tongue falling back and obstructing the airway. There are those that attempt to hold open the nasal passages, and still others that produce an unpleasant stimulus when snoring occurs. Results from using these devices will differ between patients and occasionally may provide benefit. If symptoms do not improve, we recommend consulting with a trained expert in this field. Avoid tranquilizers, sleeping pills, and antihistamines before bedtime (cause heavy sleeping and more relaxed muscle tone, leading to obstruction). Avoid alcohol for at least four hours and heavy meals or snacks for three hours before going to bed (as above). Establish regular sleeping patterns (less likely to cause deep sleep, leading to more relaxed muscle tone). Sleep on your side rather than your back (relieves the obstruction of the tongue falling back and blocking the airway). Elevate the head of your bed four inches (as above: relies on gravity to keep the tongue from falling back).